The microbiota of the human gastrointestinal tract and in particular the large intestine, comprises a large and diverse range of microorganisms, with over 1012 bacteria per gram of contents (1). It is therefore not surprising that the activities of this microbial population have a significant impact on the health of the host. The microbiota interacts with its host at both the local (intestinal mucosa) level, and systemically, resulting in a broad range of immunological, physiological, and metabolic effects. From the standpoint of the host, these effects have both beneficial and detrimental outcomes for nutrition, infections, xenobiotic metabolism, toxicity of ingested chemicals, and cancer. The participation of intestinal bacteria in carcinogenesis continues to be controversial partly due to the lack of agreement on the molecular mechanisms involved in the development of this disease. In normal adult tissues, proliferation, apoptosis, and DNA repair are in equilibrium and this ensures a steady state of healthy cells. In the progression of changes leading from a normal mucosa to carcinoma, at least five to seven major molecular alterations need to occur. Extensive studies on colorectal cancer (CRC) have identified specific genetic changes in various proto-oncogenes, tumor suppressor genes, and DNA mismatch repair genes, as well as alterations in DNA methlyation status and inherited genetic defects. Subsequently, several molecular pathways have been identified which can contribute to the development of CRC. In 1990, Fearon and Vogelstein (2) proposed a genetic pathway of colorectal tumorigenesis, which is now generally accepted as the classical model for the development of CRC. The model postulates that at least five to seven major molecular alterations need to occur for a normal epithelial cell to proceed to carcinoma. 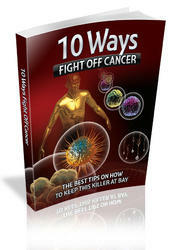 This process is now accepted as central to the majority of cancers and has been studied extensively in CRC. Bacteria have been linked to cancer by two mechanisms: induction of chronic inflammation following bacterial infection and production of toxic bacterial metabolites. The latter mechanism has a strong link with diet. Carcinogenic agents may be present in the diet or formed in vivo during digestion. 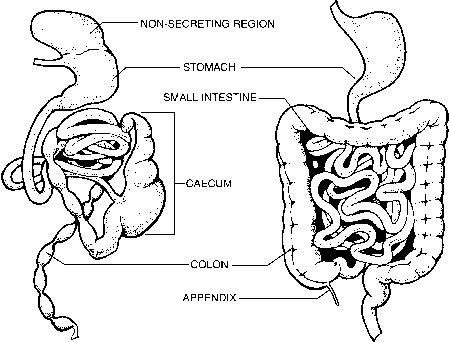 Many of these mechanisms involve the metabolic activities of the microbiota normally resident in the human colon. This paper discusses both the detrimental and beneficial consequences of bacterial activity of the gastrointestinal tract focusing on the stomach and large intestine.